Compote is easy to prepare drink that is not only quick quench thirst, but also saturate the body with various vitamins. Unexpected and a bit unusual can be a compote of raisins. However, it's incredibly tasty and healthy alternative to a variety of concentrated juices and fizzy drinks. Prepare an appropriate volume pot. Pour the required amount of water. Join in the preparation of raisins. For the compote you can use raisins dark or light varieties. Depending on what grade you choose will change the color and taste of the drink. First, the raisins must be carefully broken in. Then pour it in a colander or sieve and rinse well under running water. If necessary, repeat the procedure. If the raisins are very dirty, soak it for awhile in warm water. 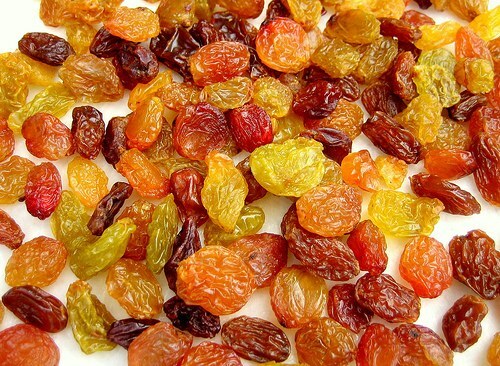 Especially the light varieties of raisins, because for better storage it is treated with chemicals. Prepared raisins put in a pot of water and add 250 g of sugar. Put the saucepan on the gas, bring to a boil, turn down the gas, so the juice is not very developed, and continue to cook for 40-50 minutes, stirring occasionally. Remove the pan from the fire. Add sugar to taste if necessary. You can add a little lemon juice if you want a more sour taste. Drink the compote cooled or hot as tea. When buying raisins note the following external signs. Too soft or, on the contrary, dry fruits indicate improper storage and harvesting raisins. Shine dried rubbed various oils that can adversely affect their health safety. So try not to buy too "beautiful" raisins. Most useful raisins with seeds, because it contains more micronutrients. To give the compote a wonderful, unusual flavor and a nice delicate taste you can use honey, a small amount of wine, lemon peel or orange, and spices, such as nutmeg, vanilla, cinnamon, allspice and cloves. Experiment to get unique, incomparable recipe raisin compote.